With new social media opportunities popping up everywhere, Sunshine Rewards has been looking for ways to best get the word out about how we can save people money. 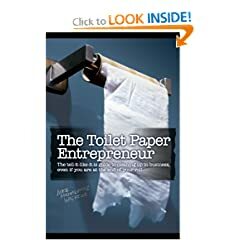 I had a unique opportunity to ask a question of Mike Michalowicz, author of Toilet Paper Entrepreneur. In this video, we “talk” about the best ways to brand with social media. In line with his response, we have recently launched a couple of contests to make people aware of our Twitter and Facebook accounts. You can follow us on Twitter at http://twitter.com/sunshinerewards or visit our Facebook Fan page and become a fan. Get the full contest details here: http://www.sunshinerewards.com/srcontest.php. Thanks to Mike for taking the time to answer my question! Thanks Mike! Great advice. Way to go Tricia! Let’s make 2009 an awesome year for reaching out to people via social media.